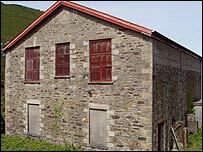 A Cornish copper mine which went on sale in July has been sold for "well in excess" of its £100,000 price tag. Agents Miller Commercial say the site has been bought by a company which makes organic skincare products, which will use it as its headquarters. A spokesman for the Truro-based agents said: "Much interest was shown by conservation groups. However, having sought offers in excess of £100,000, a number were received well in excess of this sum." George Allnutt, from Spiezia Organics, said: "It will be made available to local historical groups as well as others with an interest in holistic and homeopathic remedies."